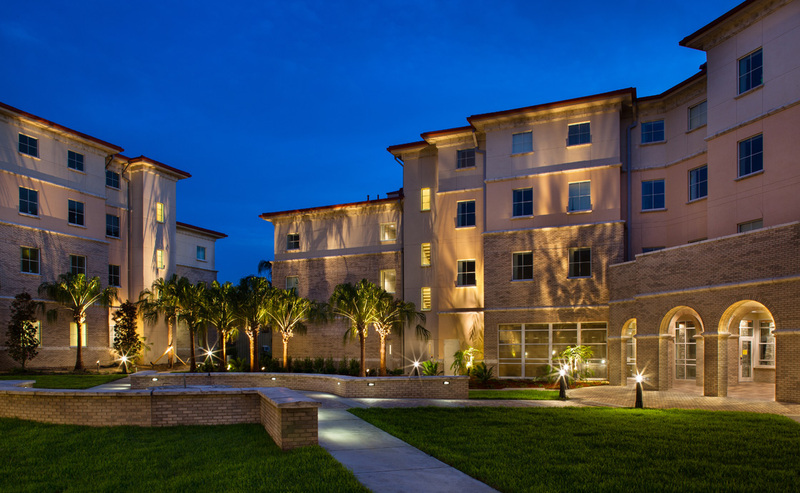 Saint Leo University’s newest Student Housing Buildings were designed by The Lunz Group to accommodate a wide range of functions and serve as a gathering place. 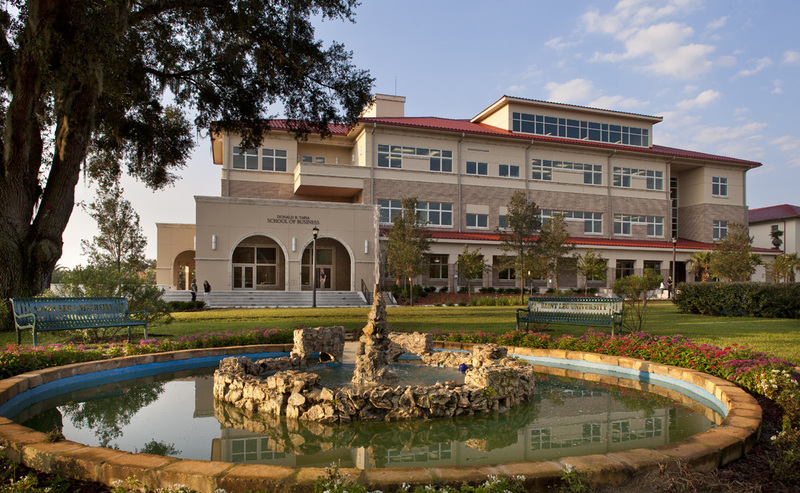 The goal of the building was to create a unified campus environment that welcomes both residential and commuter students as well as faculty and staff. 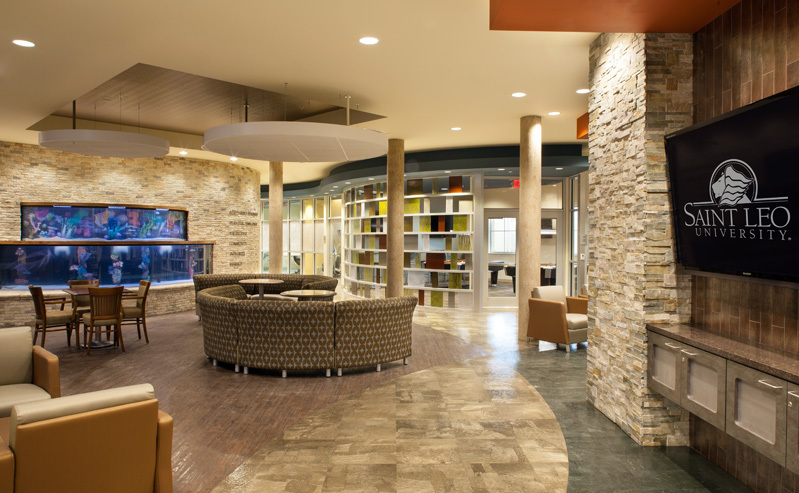 In addition to housing approximately 340 students, the two buildings include the residence life offices, a theater/instructional space, a fitness room, relaxation room, gathering spaces highlighted by a fish tank and a game room. 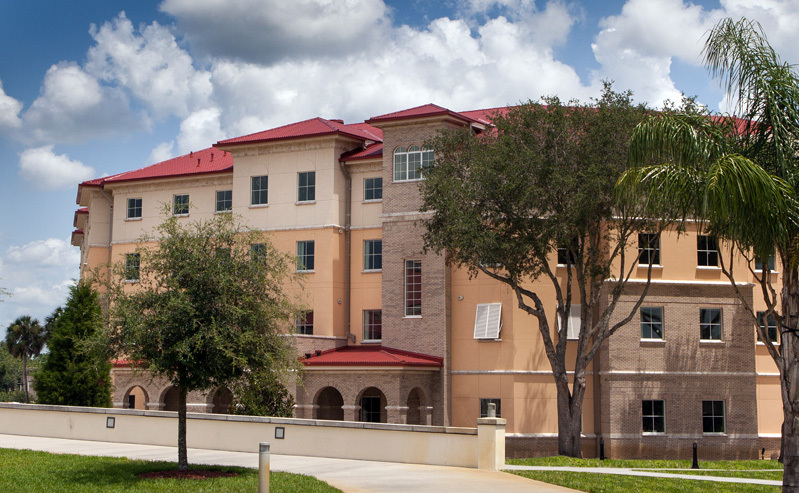 The Student Housing buildings were designed to LEED Silver criteria. Sustainable techniques focused on three major areas. The first was the use of rapidly renewable and locally sourced materials. The second focus was on the emphasis on energy efficiency and thermal controls. The third technique focused on regional priorities such as water conservation. 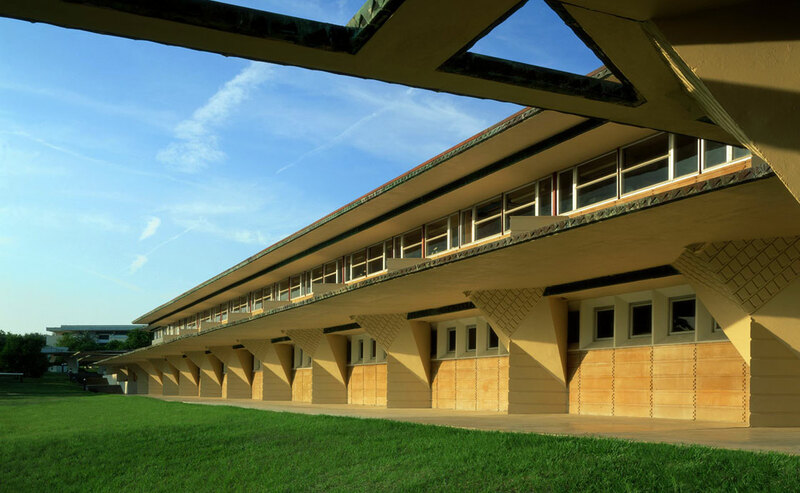 The mass of the building was broken up and brought to a more pedestrian scale through the creation of breezeways. These breezeways create an axial connection the student center, intramural fields and natural existing pathways. Diverse spaces located along the breezeways were created on the first floor of the buildings to encourage spontaneous interaction. 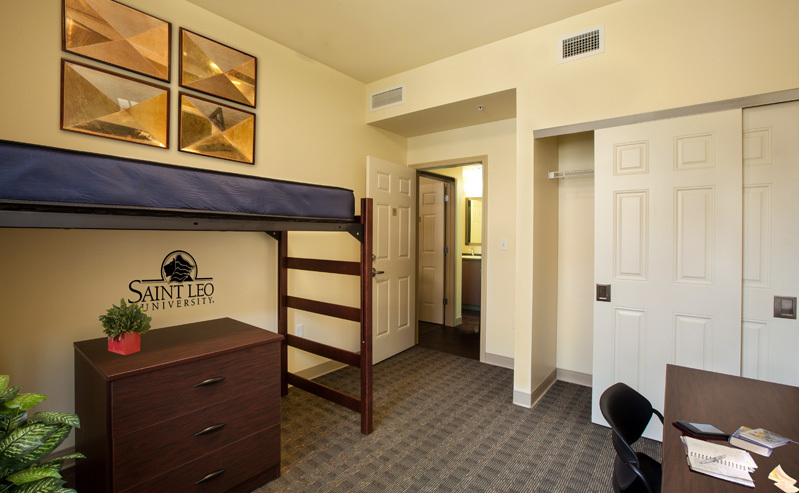 From innovative nap pods in the relaxation room to a fully equipped game and fitness room, the Student Housing Buildings engage students on a variety of personal and interpersonal levels. 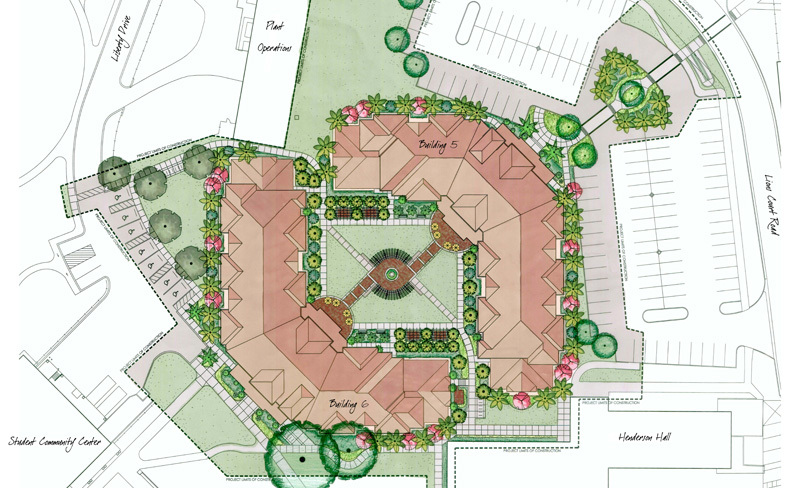 A courtyard between the two buildings was created as an outdoor gathering and grilling space for students to congregate and cook. 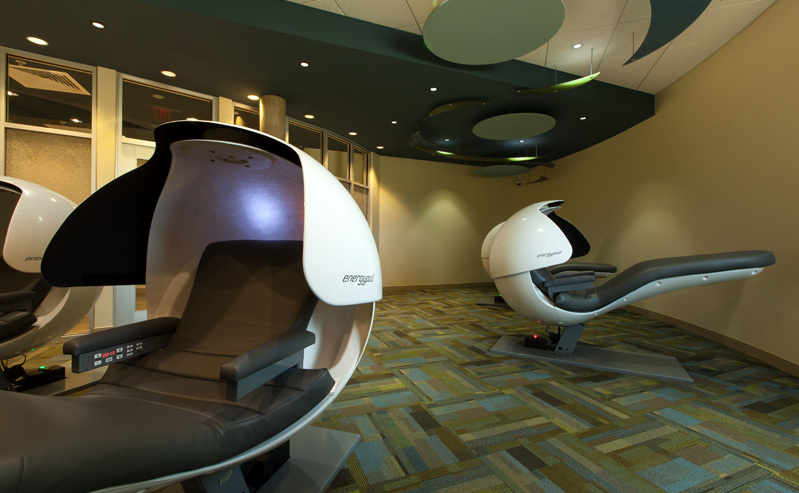 Gathering spaces also represent the college’s commitment to engaged learning through visually accessible but acoustically separate study areas. A lecture area was also integrated into one of the buildings and is currently being used for classes as well as student activities.